2018 was a record-breaking year for Michelle Wood, whose team, Detwiler+Wood, produced over $175 million in sales, the highest production by any team in the company. The Wall Street Journal recognized Michelle individually as one of America’s most productive sales associates as a part of REAL Trends America’s Best Real Estate Agents. Michelle is now a member of the “America’s Best Real Estate Agents,” ranking #8 in individual sales volume in the state of Texas, and #167 in the nation. Designees are in the top 0.05% of over 2,000,000 realtors in the nation. With 20+ years of industry expertise and over $750 million in successful transactions in the past six years, Michelle delivers a comprehensive customized approach to residential real estate. A Compass founding partner, Michelle is joined by fellow top producer, Amy Detwiler, to bring a team with unsurpassed knowledge, service and results to every detail of each real estate transaction. Michelle consistently demonstrates a proven track record in residential real estate, relying on her commercial real estate and asset management background to arm clients with the financial knowledge necessary to navigate the residential real estate market in Dallas’ most exclusive neighborhoods. Prized for its diverse job market and success luring corporate relocations, the Dallas-Fort Worth metroplex is the second fastest-growing metro in the nation. The impact of this growth on the residential real estate market has resulted in rising prices and low inventory in the more coveted neighborhoods in Dallas. In order to succeed in these challenging market conditions, Michelle utilizes her financial background, combined with a passion for architecture and design, to properly price and prepare properties for sale. When representing buyers, her market knowledge and agent relationships are invaluable tools for her clients, whose homes are often their largest investment. From scouring the MLS to find homes that perfectly suit clients’ needs and lifestyle, to selling properties for the highest possible price in record time, Michelle works diligently to achieve and exceed client expectations. Many of her listings are sold before they ever reach the market, and her buyers often purchase homes before they are formally listed. 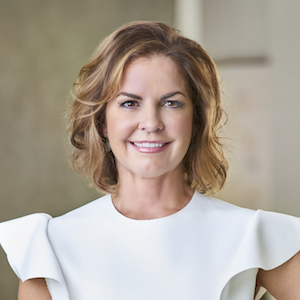 This is a result of Michelle’s intense dedication and extensive local knowledge in premiere neighborhoods, including but not limited to the Park Cities, Preston Hollow, Turtle Creek/Uptown, Greenway Parks, Bluffview and Devonshire. Michelle anticipates the market, listens to her clients and leverages the powerful Compass brand network to offer an unmatched client experience. Michelle is a graduate of Southern Methodist University where she earned a Bachelor’s of Business Administration in Accounting with an emphasis in Finance. Married to a native Dallasite, the mother of three lives happily in the Park Cities where she stays actively involved in the community and her children’s schools, St. Mark’s and the Episcopal School of Dallas. Her oldest attends the University of North Carolina-Chapel Hill. Michelle enjoys supporting and giving back to local organizations such as Preservation Dallas, Park Cities Historic and Preservation Society, the Rise School of Dallas, Reconciliation Outreach and Bridge Lacrosse, all of which allow her to connect with clients, friends and neighbors on a personal level.